Your sales compensation plan must align to market practices to attract, motivate, and retain the right talent. But only 20 percent of companies surveyed reported complete alignment between the sales compensation program and company objectives. 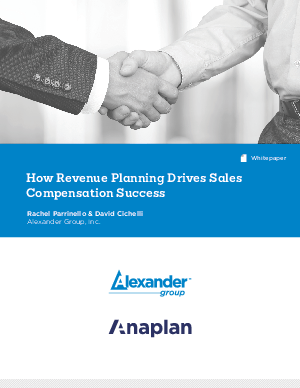 Download this white paper to see how successful compensation programs can collate numerous data inputs and align processes to meet business goals.